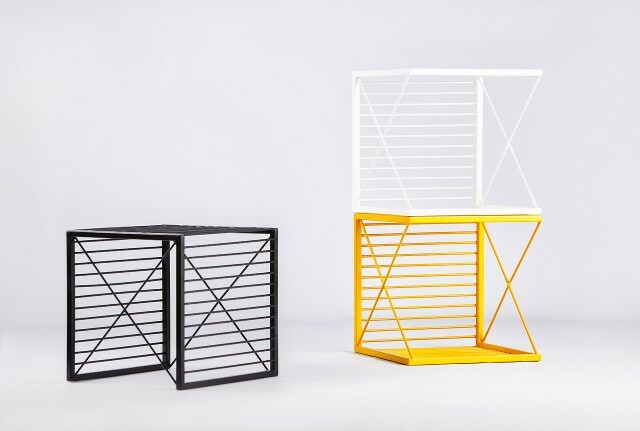 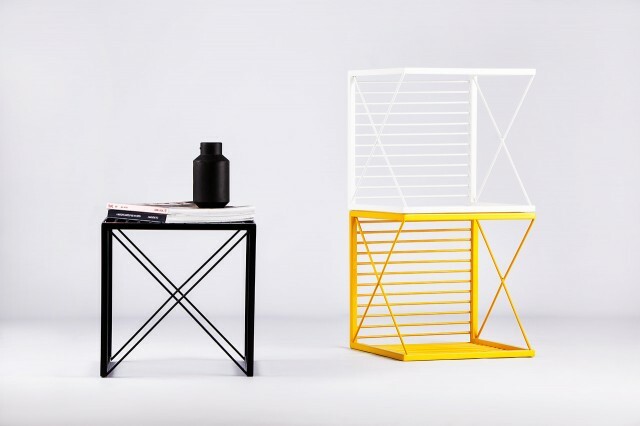 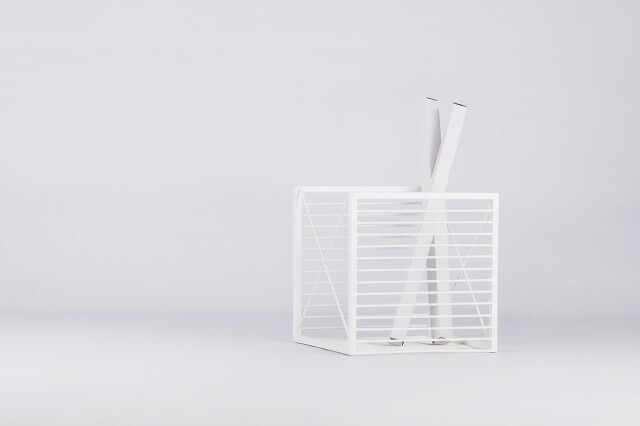 These boxes “Stripe” are designed by Natali Ristovska & Miki Stefanoski. 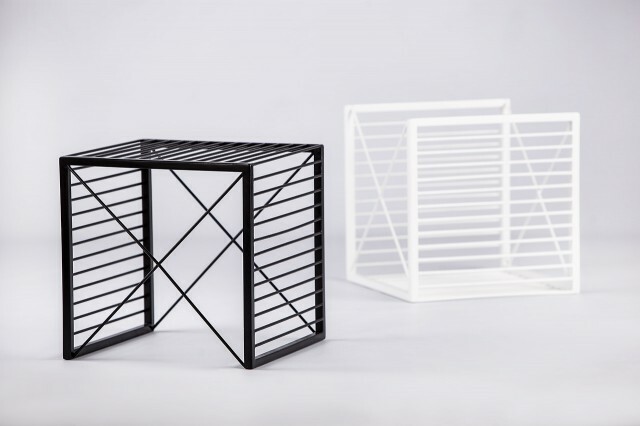 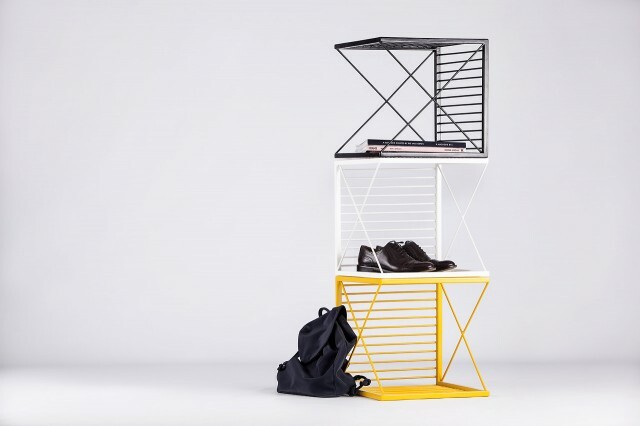 Made with metal, these modular elements can be open and closed and have different functions : storage stool, table, shelf .. 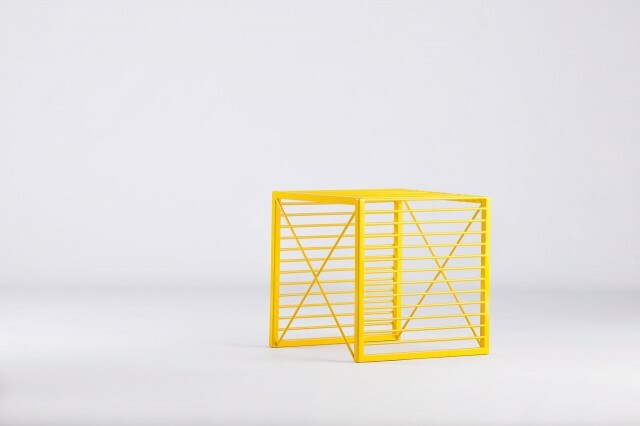 The object allows a multitude of service to its user.